If you need flat cleaning services in London but are afraid you may come across non-professionals, take a look at our company. We are no ordinary cleaners; we are certified and licensed cleaning technicians with extensive experience in flat cleaning. For more than a decade we have served customers and it is our job to leave their properties in tip top condition. We make sure all our members undertake special training so that they are able to meet all criteria and high standards. We work in an efficient and fast manner. If you want to have your flat cleaned and decluttered on a regular basis, you ought to use our company. We are worth your while. Make sure to get in touch with us. Continue reading to learn more about us. No time for cleaning? Why bother with it? 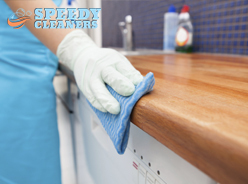 Lean on our cleaning experts to get the job done. We are available in London. You will be satisfied with the end result. Choose between one off and regular cleaning services. Get the best quote. With our company, anything is possible. If you want to have a clean and spotless home but you don’t have time to wash the dishes, remove dust and make the beds, our company will help you out. 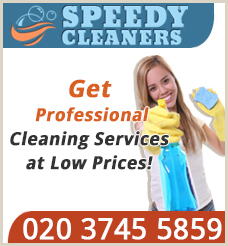 We are licensed to clean residential properties in London. Our mission is to help citizens maintain good levels of hygiene in their flats. Respectively, our job includes dishwashing (either hand washing the dishes or running the dishwasher), vacuuming (all surfaces, furniture and floors), laundering (running the washing machine), ironing, dusting (cupboards, shelves, worktops and other items), mopping the floors, washing sinks and taps, decluttering (room by room), etc. This is just an example of our work. We will do anything you want us to. We will include or exclude tasks from the list upon your request. We will also come whenever convenient for you, whether throughout the week or during the weekend, in the morning or in the afternoon. We need at least three hours to get the job done. We will charge you based on the tasks you assign and the number of rooms. We promise there will be no hidden costs and that we will stick to our final quote. The best thing about our service is that you can use it daily, weekly or monthly. Say goodbye to messes and dirt with one phone call. If you choose our regular cleaning sessions, you won’t have to do the chores ever again. Our maids will visit you regularly to do that for you. If you have any inquires, turn to our advisers for help. They will explain further our service and offer the most convenient appointment hours for you based on your schedule. Just make an appointment and leave the rest to our skilled cleaning technicians. We guarantee you will not regret this. We will be waiting for your call.